How do I add videos to a page? Videos are great for walk-throughs, how-to's, demos, presentations, and more. When adding a new page, you can also specify it as a "video" page so users can quickly identify it in the table of contents (TOC) and the search results. You can easily embed videos from popular services like YouTube, Vimeo, and Blip.tv or you can upload videos directly from your local drive. Step 1: Navigate to the Youtube video page and open "Share" options. Step 2: Go to embed option and copy the code. 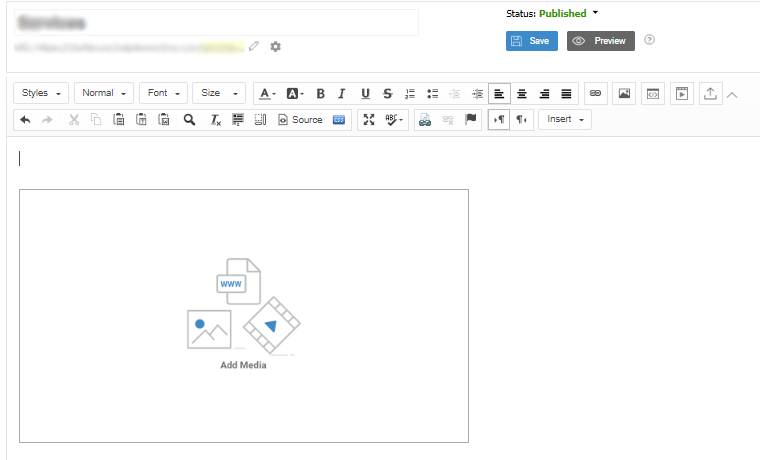 Step 3: Click the "Embed Media" button in Knowledge Base editor. Make sure to place the 'text cursor' at the appropriate location on the page. 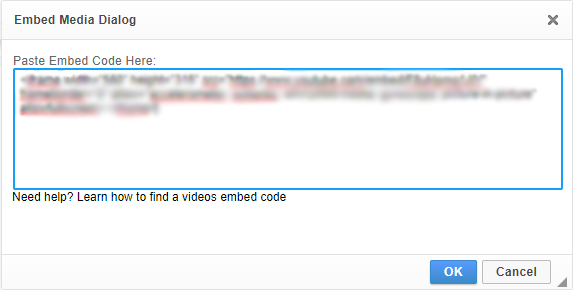 Step 4: Paste the embed code in the 'Embed Media Dialog' box and click "OK." Your video will be added to the page. You can double click the video to open the properties. Step 1: Click the "Video Upload" button from the toolbar. Step 2: Go to the "Upload" tab in the dialog box and click "Add a file." 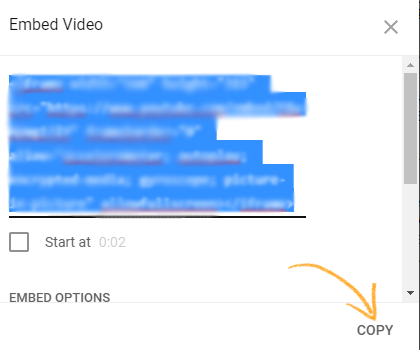 Step 3: When you have uploaded the video from your local drive it will automatically be added to the user media library so you can re-use it whenever needed. 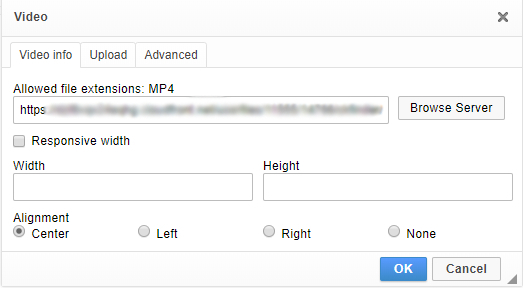 You can select the video's alignment, and add custom width and height. Click "OK" to add it to the page.